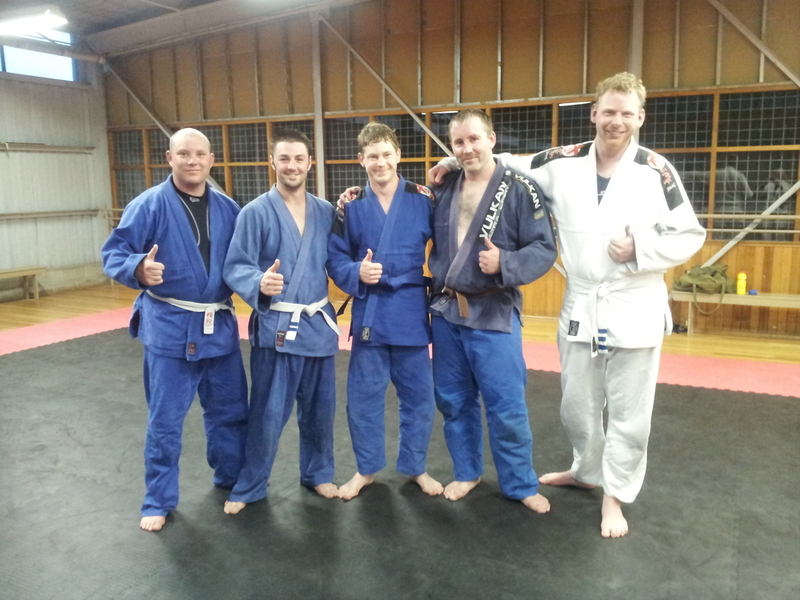 Monday the 25th November 2013 was a special night for BJJ Hobart student Tim Nissink who was awarded his Blue Belt in Brazilian Jiu Jitsu. Tim is a man of exceptional character and has a great work ethic, this coupled with his high level of technique make him a great example of a Blue Belt. Time has trained with our club for a few years under Adam Newton and Gerry Young. Keep up the good work Tim, now the real challenges start! Stripes were also awared to Tom Dennis, bringing him up to white belt 3 stripes, Bayden Mandich bringing him up to white belt 2 stripes and Luke Anderson was awarded his first stripe. Congratulations everyone!